Recipe submitted by Phoebe Dunkelman Pardo, Daughter of the Founder of Speaking of Women's Health. Turn a damp, rainy day into something really fun for the kids and you to enjoy. 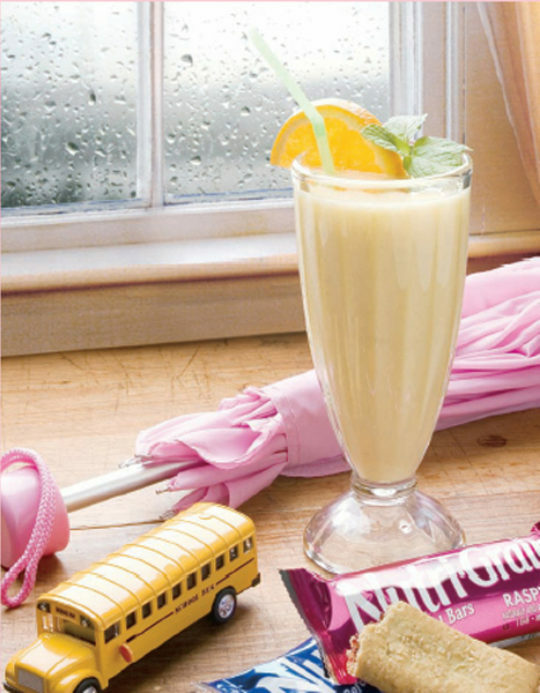 A healthy smoothie and a filling nutritious snack will put the sunshine into their hearts and spirits! Enjoy this fruity smoothie made with non-fat yogurt and fresh juice. Place mango, banana, orange juice and yogurt in a blender. Blend until smooth. Serve in clear glass.